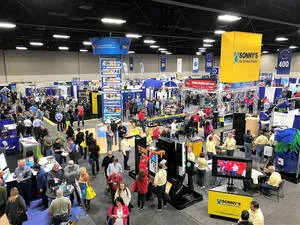 The Southwest Car Wash Association’s Annual Convention and Car Wash Expo for 2019 takes place in Arlington, TX, running from Sunday, February 24 through Tuesday, February 26. Once again the venue for the show is the Arlington Convention Center, while the Sheraton Arlington Hotel acts as headquarter hotel for the event. A round table discussion at last year’s event. Michael Dominguez will be the speaker at the CEO Leadership Forum, the opening session on Sunday starting at 12:30 p.m. Dominguez is an executive with MGM Resorts International and brings an impressive 30 years of leadership in hospitality, brand development, and building customer experiences. Included among his numerous recognitions are the Top 25 Most Influential People in the Hospitality Industry and the Lanyon’s Industry Leadership Award. Dominguez will highlight business trends and insights for 2019 along with ideas on building new and different customer experiences. The tradeshow floor opens immediately following the CEO Forum. In all, between Sunday and Monday, the event offers attendees more than eight hours of visiting time with exhibitors, who will be occupying over 70,000 square feet of exhibit space. The keynote speaker during the General Session on Monday will be Dana Perino, host of “The Daily Briefing” and co-host on the hit show “The Five,” both on Fox News. Before joining Fox, Perino served as the White House press secretary. She spent more than seven years as part of the administration of President George W. Bush. In 2010, President Obama appointed her to serve on the Broadcasting Board of Governors advocating for individual and economic freedom, especially for women in Africa. Perino founded Minute Mentoring, a program for young women that connects mentors and mentees. She also serves on the board of Companions for Heroes, which matches rescue animals with first responders and veterans managing post-traumatic stress. The educational program on Monday includes the ever-popular round table discussions and idea exchange sessions. The evening brings an opportunity to relax and visit with peers: The Celebrate SCWA event takes place at Texas-Live, Arlington’s new $250-million entertainment development that opened in 2018. 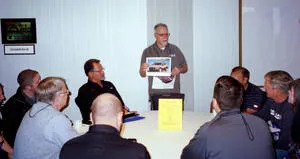 On Tuesday, the Car Wash Academy presents several educational sessions covering diverse subjects, while the International Detailing Association offers a morning filled with auto detailing education. For the most up-to-date information, visit www.swcarwash.org or call the Southwest Car Wash Association at (800) 440-0644. * Highlights based on information available January 21, 2019. Subject to change. For the latest information, visit www.swcarwash.org.